The next section of the XML is the Grid definition. It starts with four attributes: tileSize – the size of each grid square, width – how many tiles wide the map is, height – how many tiles high the map is, and baseColor – the base color to use for the map. The child nodes for the grid, called GridRows, are where we actually go through and place the objects onto the map grid. This is a fairly simple loop that just loads the values out of the XML attributes for each of the bits and pieces we need. In the for loop we’re using the ternary operator ? : because of the differences in how IE and every other browser in the world returns XPath data. There’s not really much to explain in that one, it just loads the one Grid node out of the XML and then reads / stores the appropriate attribute values. 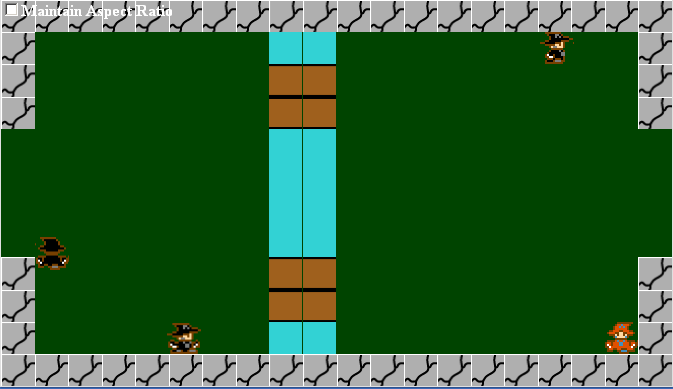 For scenery we just used the scenery array instead of the collidables array, but it is otherwise identical.